How long has the Association been running for? The Association was formed in 1993 immediately after British Rail announced the closure of the line. The first train ran between Dufftown and Drummuir in July 2000 and in August 2001 the first train ran between Dufftown and Keith Town. What are the primary aims of the Association? To preserve an important piece of local history and to provide a tourist attraction through an area of largely unspoilt countryside. A group of local business men and railway enthusiasts who felt that a heritage railway would be a better attraction than a public walkway. Has it been difficult to find volunteers to share the vision of the Association? Membership of the Association is quite healthy but regular volunteers need to live reasonably locally so numbers tend to vary a little. Recruitment of new volunteers is slow but steady, once people make the effort they find they enjoy themselves, we are a complete change from normal work and a change is as good as a rest. It also probably helps that we do not discriminate in any way, young (16+) or old, male or female; if you wish to join we can find you a job. We do get volunteers coming to the railway from long distances (England), they often support our special events and normally spend one or two weeks with us at a time. 2nd February 2002, the Keith and Dufftown Railway Association was presented with the Heritage Railway Association’s prestigious Annual Award, for successfully opening the line from Dufftown to Keith on limited resources, just how much does this award mean to you, and to everyone who has been involved with the Association? This award was presented as the railway first opened as a heritage line. It recognised the hard work the early volunteers had put in to rehabilitate the railway and get it running in a very short time. It was a source of pride for the members and volunteers at the time and remains an objective for the present volunteers to emulate. As the Keith and Dufftown Railway is an eleven mile line linking the World’s Malt Whisky Capital, Dufftown, to the market town of Keith does much of your revenue come from whisky tourism? Obviously some does but not as much as you might think. During our normal service we promote the distilleries as an added attraction while they are in the area. We also arrange distillery visits for some of our coach parties. In their turn the distilleries promote the railway. Will you be running any special services for the Spirit of Speyside Festival? We run our normal timetable service but add extra days during the Festival. For example, in May we would normally only run on Saturdays and Sundays but for the Festival we will also run on Thursday and Friday. 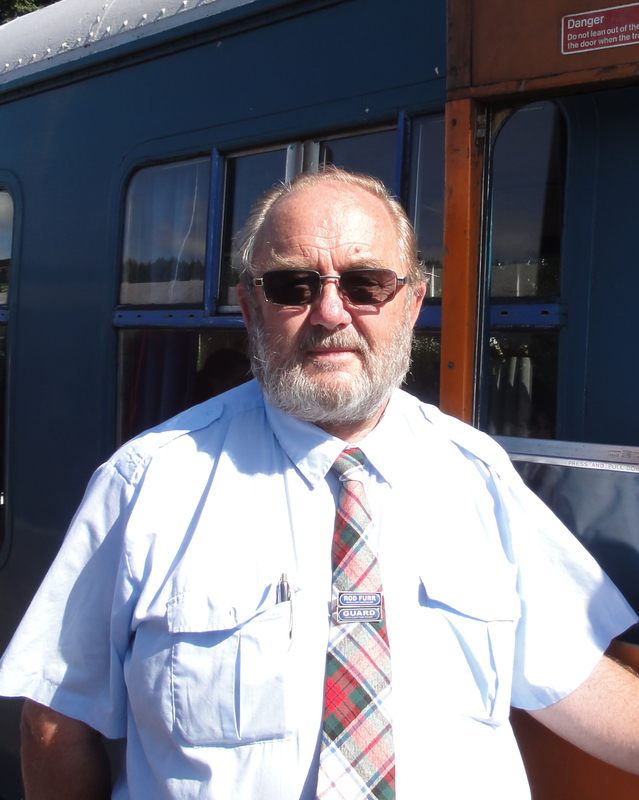 We organise special visits and tours with distilleries in Dufftown and Keith, coupled with a trip by train and either lunch or tea as part of the tour. So you would book through the Festival website, arrive at Dufftown, have lunch in the Buffer Stop, catch a train to Keith, have a special tour of Strathisla or possibly Strath Mill Distillery then catch the train back to Dufftown. As we are the Whisky Line we also provide a taster of a local Malt Whisky to every passenger on the Festival trains, providing they are over 18 of course, with either a shortbread biscuit or a piece of whisky cake. Does the extra tourism that Spirit of Speyside brings, raise enough revenue to keep the Railway open all year round? Unfortunately no. We are open from Easter to the end of September as there are not enough passengers to run a throughout the year. The Whisky Festivals bring in much needed extra revenue from the festival goers but we still need our walk on passengers and coach parties during the rest of the season. How many extra passengers will the Festival bring to the Railway? It’s difficult to say as not all festival goers pre-book for the events so they end up as very welcome walk on customers. In general the festival probably brings in between 100 and 150 passengers a day which means a conservative 400 for the weekend. How important are the local distilleries in terms of contributing and helping to fund the Railway? The local distilleries do not fund the railway. We provide mutual support that benefits us all, not only through the Festival but throughout the season. The distilleries we co-operate closely with, particularly Glenfiddich and Strathisla, assist the railway by donating whisky to the railway. Are there any must see events for you at the Festival? Any event during the Festival would be worth attending but I end up being busy on the railway throughout the Festival and have not been able to attend any of the other events. Why would you recommend that people come and visit the Railway (aside from the obvious excellent source of transport)? Speyside is one of the hidden tourist gems of the UK, a quiet area, redolent with history and renowned for the friendly welcome given to visitors. It’s a land of mountain and glen, open moorland, deep forests, lochs and rolling farmlands; dotted with castles, cut by fast flowing rivers and home for half the distilleries in Scotland. 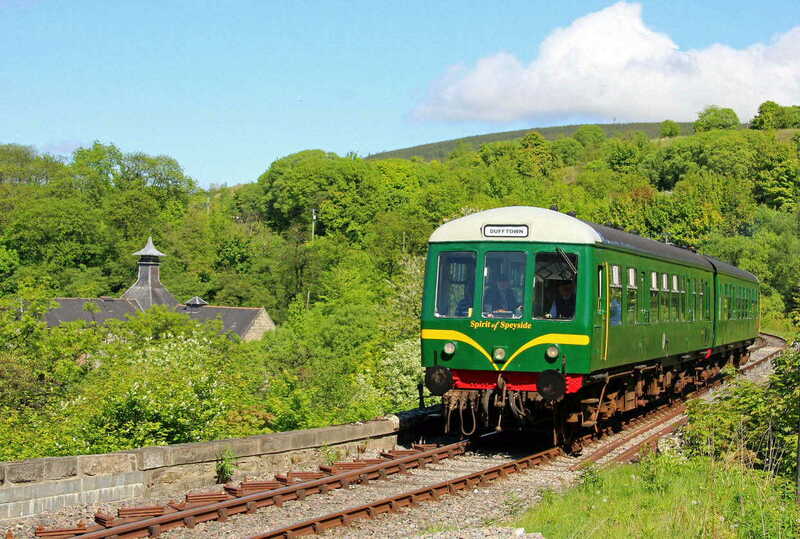 Hidden away in the hills of the old Scottish County of Banffshire and taking advantage of this enchanting landscape is the Keith & Dufftown Railway, giving you the chance to enjoy the scenery and wildlife from our comfortable DMU’s that evoke the quiet nostalgia of the 1960’s branch line. Thank you Rod that concludes our interview, your time is very much appreciated. There is a full list of events etc that The Keith and Dufftown Railway run for not only the Spirit of Speyside Festival but all year round. Check their website here and if you are in the area then give them a visit. Remember they are all volunteers giving up their time and hard work to this excellent community project.